Kassem Eid survived arrest in al-Assad’s regime, a chemical weapons attack that shocked the world, and the siege of a city where he fought with the Syrian rebel army. This is his story—a unique and powerfully moving testimony for our times, with a foreword by Janine di Giovanni. On August 21, 2013, Kassem Eid nearly died in a sarin gas attack in the town of Moadamiya. At least 1,500 people were killed. Later that day, he was hit by a mortar while helping the Free Syrian Army fight government forces. He survived that, too. But his entire world—friends, neighbors, family, everything he knew—had been devastated beyond repair. The unprecedented scope of this brave, deeply felt memoir makes it unique in the body of literature to emerge from the Syrian civil war. Eid illuminates the realities of growing up in a corrupt dictatorship; the strictures of living under siege; the impact of unspeakable violence; and how, at extraordinary personal risk, he drew worldwide attention to the assault on cities across Syria. This is a searing account of oppression, war, grit, and escape, and a heartbreaking love letter to a world lost forever. 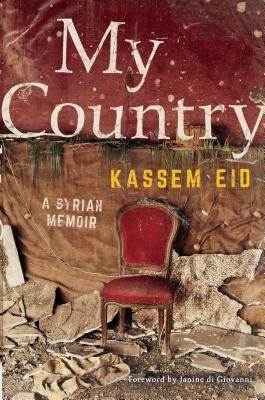 Kassem Eid is a Palestinian-Syrian rebel and human rights activist. In 2014 he testified before the United Nations Security Council. He has contributed to the New York Times, Washington Post, and the Wall Street Journal, and was interviewed on 60 Minutes. He is currently a refugee living in Europe.